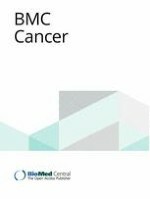 Cannabidiol-induced apoptosis is mediated by activation of Noxa in human colorectal cancer cells. “Cannabidiol (CBD), one of the compounds present in the marijuana plant, has anti-tumor properties, but its mechanism is not well known. This study aimed to evaluate the apoptotic action of CBD in colorectal cancer (CRC) cells, and focused on its effects on the novel pro-apoptotic Noxa-reactive oxygen species (ROS) signaling pathway. CBD experiments were performed using the CRC cell lines HCT116 and DLD-1. CBD induced apoptosis by regulating many pro- and anti-apoptotic proteins, of which Noxa showed significantly higher expression. To understand the relationship between Noxa and CBD-induced apoptosis, Noxa levels were downregulated using siRNA, and the expression of apoptosis markers decreased. After ROS production was blocked, the level of Noxa also decreased, suggesting that ROS is involved in the regulation of Noxa, which along with ROS is a well-known pro-apoptotic signaling agents. As a result, CBD induced apoptosis in a Noxa-and-ROS-dependent manner. Combined CB2 Receptor Agonist and Photodynamic Therapy Synergistically Inhibit Tumor Growth in Triple Negative Breast Cancer. “Triple negative breast cancer (TNBC) is the deadliest form of breast cancer because compared with other types of breast cancer, it is more aggressive, diagnosed at later stage and more likely to develop recurrence. Many patients do not experience adequate tumor control after current clinical treatments involving surgical removal, chemotherapy and/or radiotherapy, leading to disease progression and significantly decreased quality of life. Here we report a new combinatory therapy strategy involving cannabinoid-based medicine and photodynamic therapy (PDT) for the treatment of TNBC. This combinatory therapy targets two proteins upregulated in TNBC: the cannabinoid CB2 receptor (CB2R, a G-protein coupled receptor) and translocator protein (TSPO, a mitochondria membrane receptor). We found that the combined CB2R agonist and TSPO-PDT treatment resulted in synergistic inhibition in TNBC cell and tumor growth. “Studies have emphasized an antineoplastic effect of the non-psychoactive, phyto-cannabinoid, Cannabidiol (CBD). However, the molecular mechanism underlying its antitumor activity is not fully elucidated. Herein, we have examined the effect of CBD on two different human breast cancer cell lines: the ER-positive, well differentiated, T-47D and the triple negative, poor differentiated, MDA-MB-231 cells. In both cell lines, CBD inhibited cell survival and induced apoptosis in a dose dependent manner as observed by MTT assay, morphological changes, DNA fragmentation and ELISA apoptosis assay. CBD-induced apoptosis was accompanied by down-regulation of mTOR, cyclin D1 and up-regulation and localization of PPARγ protein expression in the nuclei and cytoplasmic of the tested cells. Appraising the “entourage effect”: antitumor action of a pure cannabinoid versus a botanical drug preparation in preclinical models of breast cancer. “Breast cancer is the second leading cause of death among women. Although early diagnosis and development of new treatments have improved their prognosis, many patients present innate or acquired resistance to current therapies. New therapeutic approaches are therefore warranted for the management of this disease. Extensive preclinical research has demonstrated that cannabinoids, the active ingredients of Cannabis sativa, trigger antitumor responses in different models of cancer. Most of these studies have been conducted with pure compounds, mainly Δ9-tetrahydrocannabinol (THC). The cannabis plant, however, produces hundreds of other compounds with their own therapeutic potential and the capability to induce synergic responses when combined, the so-called “entourage effect”. Here, we compared the antitumor efficacy of pure THC with that of a botanical drug preparation (BDP). The BDP was more potent than pure THC in producing antitumor responses in cell culture and animal models of ER+/PR+, HER2+ and triple-negative breast cancer. This increased potency was not due to the presence of the 5 most abundant terpenes in the preparation. While pure THC acted by activating cannabinoid CB2 receptors and generating reactive oxygen species, the BDP modulated different targets and mechanisms of action. The combination of cannabinoids with estrogen receptor- or HER2-targeted therapies (tamoxifen and lapatinib, respectively) or with cisplatin, produced additive antiproliferative responses in cell cultures. Combinations of these treatments in vivo showed no interactions, either positive or negative. Anti-Tumorigenic Properties of Omega-3 Endocannabinoid Epoxides. “Accumulating studies have linked inflammation to tumor progression. Dietary omega-3 fatty acids including docosahexaenoic acid (DHA) have been shown to suppress tumor growth through their conversion to epoxide metabolites. Alternatively, DHA is converted enzymatically into docosahexaenoylethanolamide (DHEA), an endocannabinoid with anti-proliferative activity. Recently, we reported a novel class of anti-inflammatory DHEA-epoxides (EDP-EAs) that contain both ethanolamide and epoxide moieties. Herein we evaluate the anti-tumorigenic properties of EDP-EAs in an osteosarcoma model. First, we show ~80% increase in EDP-EAs in metastatic lungs versus normal mouse lungs. We found significant differences in the apoptotic and anti-migratory potency of the different EDP-EA regioisomers, which are partly mediated through cannabinoid receptor 1 (CB1). Furthermore, we synthesized derivatives of the most pro-apoptotic regioisomer. These derivatives had reduced hydrolytic susceptibility to fatty acid-amide hydrolase and increased CB1 binding. Involvement of the CB2 cannabinoid receptor in cell growth inhibition and G0/G1 cell cycle arrest via the cannabinoid agonist WIN 55,212-2 in renal cell carcinoma. “The anti-tumor properties of cannabinoids have been investigated in many in vitro and in vivo studies. Many of these anti-tumor effects are mediated via cannabinoid receptor types 1 and 2 (CB1 and CB2), comprising the endocannabinoid system (ECS). In this study, we investigated the ECS based on CB 1 and CB 2 receptor gene and protein expression in renal cell carcinoma (RCC) cell lines. In view of their further use for potential treatments, we thus investigated the roles of CB1 and CB2 receptors in the anti-proliferative action and signal transduction triggered by synthetic cannabinoid agonists [such as JWH-133 and WIN 55,212-2 (WIN-55)] in RCC cell lines. This study elucidated the involvement of CB2 in the in vitro inhibition of RCC cells, and future applications of CB2agonists in the prevention and management of RCC are discussed.